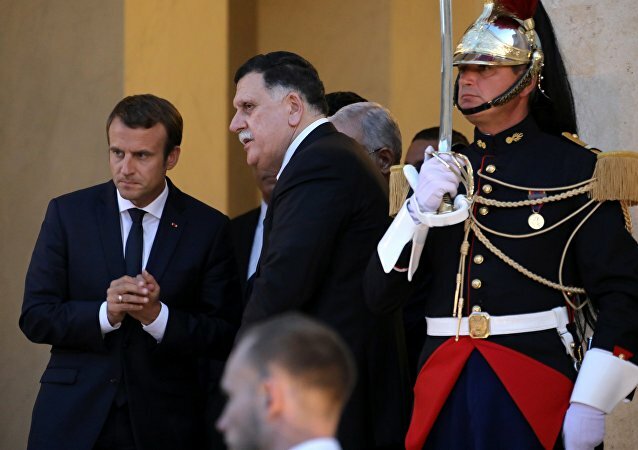 CAIRO (Sputnik) - French President Emmanuel Macron and Prime Minister Fayez Sarraj of Libya’s UN-backed Government of National Accord held a phone call on Monday to discuss the offensive on Tripoli. PARIS (Sputnik) - The Libyan crisis cannot be resolved through "a military victory," as a political settlement is the only option in light of growing tensions in the Maghreb country, French Foreign Minister Jean-Yves Le Drian stated. MOSCOW (Sputnik) - UN Special Representative for Libya Ghassan Salame has stated that the organisation continued to work in order to find a peaceful solution to the Libyan conflict. As the Kurdish-led Syrian Democratic Forces (SDF) continue its offensive on the Syrian city of Baghouz, one of Daesh’s last bastions in the country, more jihadi brides with kids are reportedly being transported to refugee camps. The Syrian Democratic Forces (SDF) began a final attack on the Syrian city of Baghouz, the last stronghold of the Daesh* terror group (banned in Russia) in the country, SDF Press Office chief Mustafa Bali announced on 1 March. After US President Donald Trump announced a decision to withdraw all American troops from Syria, having declared victory over Daesh, Turkish President Recep Tayyip Erdogan postponed the beginning of a military operation against Kurdish fighters in the Mideast country. On Friday, the Syrian Arab Army said it had entered Manbij and raised the flag of the Arab Republic in response to a request from the Kurdish People's Protection Units (YPG) to take control of the northern city amid Turkey's impending offensive. WASHINGTON (Sputnik) - Turkish President Recep Tayyip Erdogan said on Monday that US President Donald Trump had responded positively to Turkey's plans to launch an offensive on the eastern side of the Euphrates River. 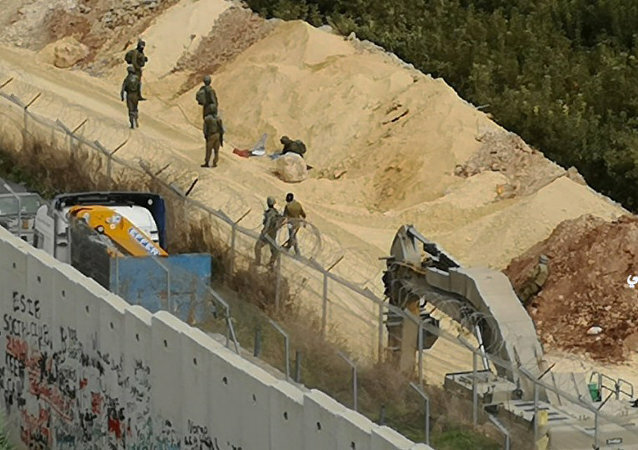 MOSCOW (Sputnik) - Moscow hopes that Israel will not violate UN Security Council's resolutions during its ongoing military operation on the border with Lebanon, Russian Foreign Ministry spokeswoman Maria Zakharova has stated. Syrian Army has killed over 270 Daesh terrorists during an offensive in Syrian Al-Suwayda province, the command of the Russian forces in Syria reported. Gulf War and New World Disorder: Did George H.W. Bush Pass His Biggest Test? George H.W. Bush, the 41st US President, died on November 30 aged 94. The nation's longest-living president, during his single term in office he oversaw the end of the Cold War and aspired to secure the United States' dominancy in a changing world. The parent company of White Wolf, a tabletop role-playing game maker, has reigned in its subsidiary and is in the process of reshuffling its management after the company released content considered "offensive" for the second time in the space of a few months. 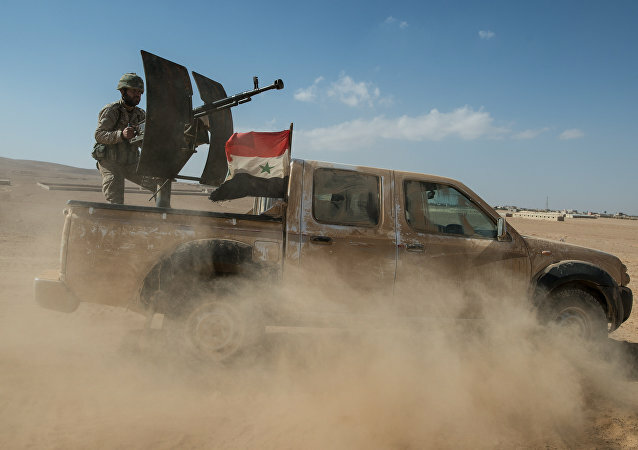 The government forces continue to crack down on terrorists based near the strategic heights of Tulul al-Safa in southern Syria's al-Suwayda desert. The military operation is due to be wrapped up before the end of this fall.